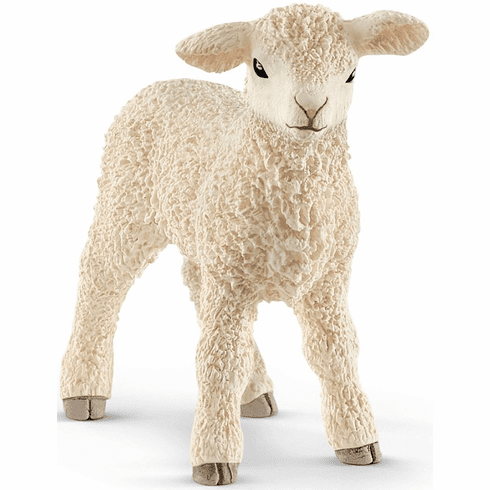 Sheep that are not older than one year are referred to as lambs. A few days after birth, their wool begins to grow. They quickly learn to find their way amongst the herd and are smarter than assumed to be. Sheep can distinguish not only the faces of their own species, but also those of humans. Figures measure approximately in inches: 0.5 W x 2 L x 1.8H. The art work and detail are beautiful on this hand painted figure.